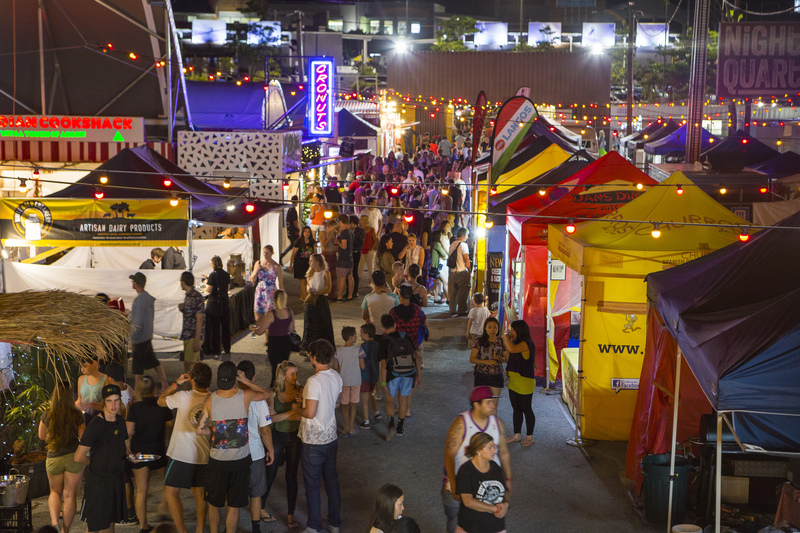 For just over three years, foodies and music lovers delighted in the Northern Gold Coast’s NightQuarter night markets. It quickly became one of the city’s most iconic food and music destinations. Every weekend thousands of locals and tourists flocked to the precinct to experience the best in street food, authentic eats, market stalls and live entertainment. Think Mediterranean back alleys meets street food culture, and you have NightQuarter. 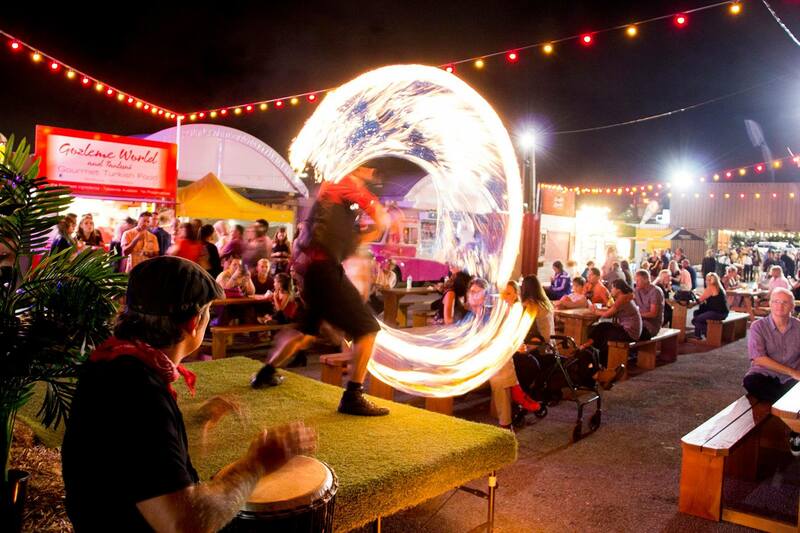 With a kaleidoscope of global flavours, upcycled shipping containers, string lights, street art, astroturf, stages and over 100 regional vendors within the creative playground. The venue closed on the 1st February 2019 after failing to reach an agreement with landlord Scentre over a 200% rent increase. 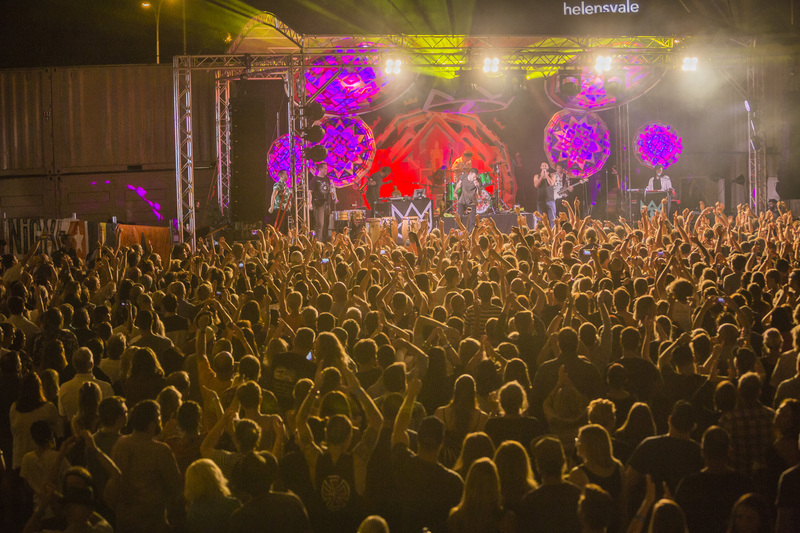 The final night at NightQuarter featured a sold out show with the UK’s UB40. The award-winning ‘The Paddock’ live music venue programmed live original music every weekend. 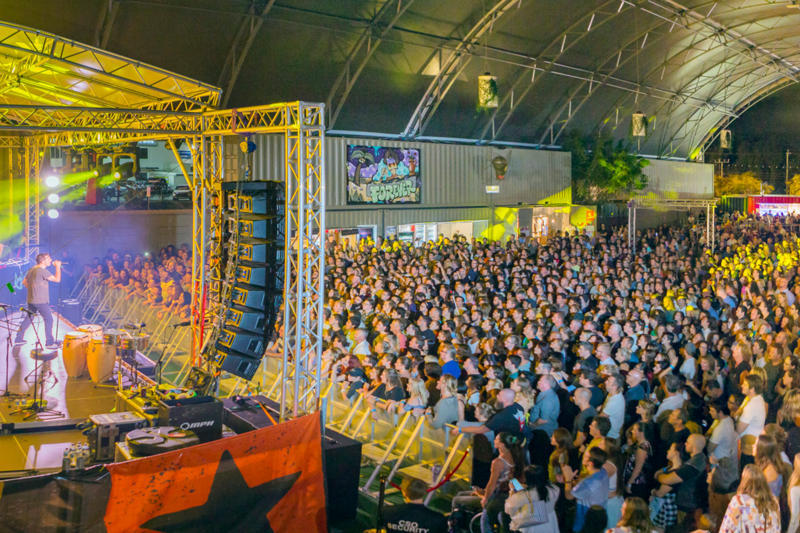 With major acts like UB40, Amy Shark, The Living End, The Screaming Jets, Fisher, Grinspoon, Spiderbait, Sticky Fingers, Simple Plan, The Cat Empire, Sunnyboys, RUFUS and more playing the venue, the venue quickly established itself as part of the national and international touring circuit. The venue also focused on programming original music from the Gold Coast and supporting up and coming local artists from high school performers to established local bands. The Cat Empire, Sticky Fingers, Safia, Bjorn Again, Salmonella Dub, The Living End, Dune Rats, DZ Deathrays, Waax, RÜFÜS, Kate Ceberano, Ross Wilson, The Delta Riggs, The Waifs, Bliss N Eso, Screaming Jets, Baby Animals, Glenn Shorrock, Shannon Noll, 1927, Pseudo Echo, Eurogliders, Paul Dempsey, Sunnyboys, Hoodoo Gurus, You Am I, Adalita, Jebediah, Pete Murray, UB40, Fisher, Amy Shark, Flight Facilities, Richard Clapton, Wendy Mathews, Katchafire, The Radiators, Never Ending 80’s, Xavier Rudd, Spiderbait, The Superjesus, The Presets, Simple Plan, The Angels, Rose Tattoo, Killing Heidi, Illy and many more! 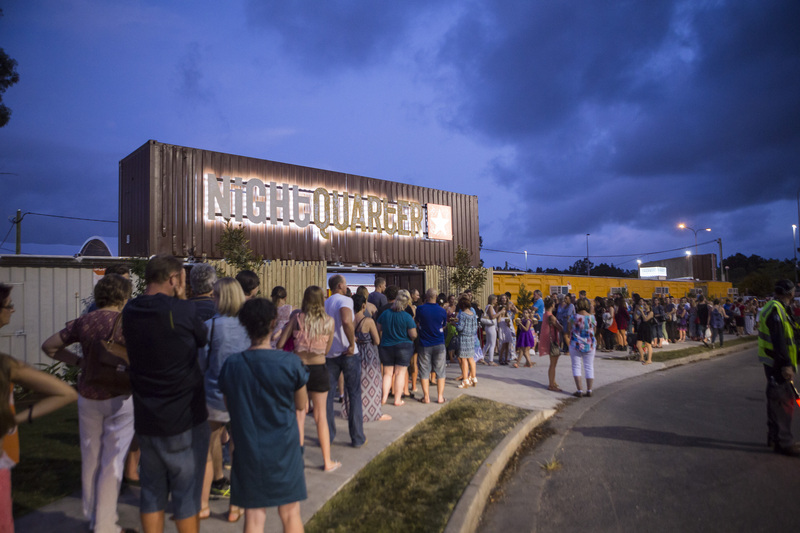 NightQuarter’s festival vibe has made an impression across the music industry. ‘I love playing at NightQuarter and reckon it’s the best gig in Australia right now’ Dave Gleeson, The Angels. NightQuarter was proud to be a finalist in the Queensland Training Awards in 2017. Over three years, NightQuarter has employed 30+ school-based trainees and interns. The students moved on to become event managers, graphic designers, bar supervisors and restaurant managers. 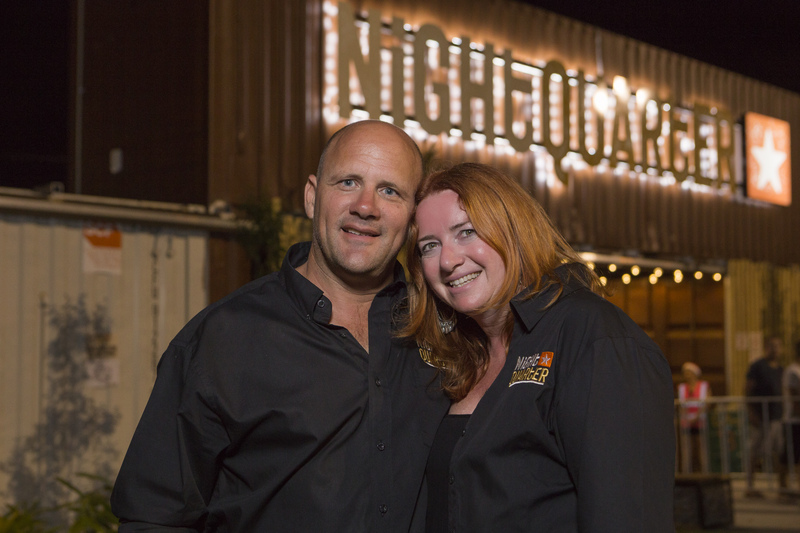 NightQuarter delivered a Food and Music Festival featuring over 54 events across the Commonwealth Games as part of Festival 2018. The program included local bands like Electrik Lemonade, Matty Rogers and Colt Seavers Band through to Eat Local food trails, an Indigenous Area, Yugambeh Dancers, Emily Wurramurra, Baker Boy, live Wildlife Sketching, Soil to Supper Series, Native Wildflower workshop, Pacificana Long Lunch, live installations with Les Moutons, Brass Off with Kings of Leroy and Hot Potato Band, Pacific Dance featuring VOU and Jesswar, cooking demonstration with native ingredients, Science in the Kitchen, Masterclasses, Panels, Cheese, Chocolate & Wine Experiences and more! NightQuarter worked on two integrated interior design projects with Coomera TAFE students giving them project management skills, working in with community for feedback and opening areas to the community, designed by the community.